I absolutely love travelling. There are SO many beautiful places all over the world which I can’t wait to see and experience one day. Now, I’ve been lucky enough to see most of New York back in 2015. 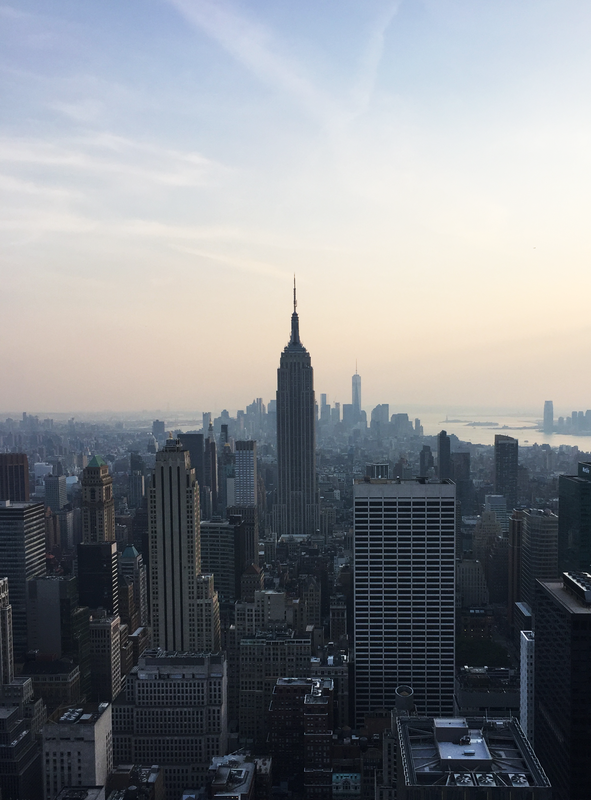 I went for 4 nights with my family and packed in pretty much everything, from the Rockafella Centre, to Broadway, Times Square and Central Park. As much as I’d love to visit NY again, there are plenty more Landmarks which are sitting patiently on my Bucketlist. Probably the easiest of the lot is the Eiffel Tower in Paris. Although I went to Paris when I was younger, and I’m pretty sure I probably saw the Eiffel Tower, I was far too diddy to remember any of it. I’d just love to spend a long weekend in Paris and spend a night under the Eiffel Tower with Jamie, just how romantic would that be?! Jamie, if you’re reading this, hint hint. Thailand is without a doubt top on my Travel Bucket List. I’d love to do the whole 3-6 month travelling thing one day, but if that plan never materialises, Thailand for a week or two has to happen. Phi Phi Islands are one of the most popular of Thailands islands and it’s easy to see why. Crystal clear blue waters and white sands make this place look like literal paradise. Just imagine the insta opportunities! Hopefully someday soon I can hop over to Destination2.co.uk and get myself booked in for a holiday there!! Although there’s probably not a lot to do once you’re there, I feel like the Golden Gate Bridge is just one of those things you’ve got to see in your lifetime. I can totally imagine a cute little picnic here as the sun sets. Also, this would result in a must visit to California, so what’s not to like?! The Pyramids are a bit of an odd one, but I can imagine these being so magical to see in person. I would absolutely love to have a tour around the Egyptian Pyramids and learn all about the history of the country. I always loved to learn about Egyptians in school!! I feel like I’m mentioning Iceland in pretty much every Travel post that I do. I’m not stopping until I visit this place! Blue Lagoon sounds like such an experience. I bloomin’ love a spa day, so why not head over to Iceland for one?! What’s on your landmark wishlist? Have you visited any of these before? "eBay Summer Style Steals for under £15"
"21st Birthday: My feelings, thoughts and everything in between"